Below you will find listings for some work at home jobs. Many of my visitors dream of working from home. They have the time, ambition, talent and creativity. What they don't have is any idea where to start. This page has been created to be a bulletin of sorts for contractors or businesses to post their needs. If you are looking for workers please email me with up to 100 word description of workers needed and your email address. There are many ways to earn extra money at home. You can create and sell all yourself or you can work at home contracting for somebody else. I am always receiving messages asking how to get started in business or where they could find those looking for workers. Because of these request I have decided to create this page for both my visitors seeking work and for those looking for workers. It is a shame but I do have to include a disclaimer naturally. Please understand I am not charging for this service and you should always use the usual precautions when responding to any ad. I am providing this free service for my visitors. Knitting-n-crochet accepts no responsibility in any way for the standard or quality of any service provided or any one that may be hired through this site. It will be your responsibility to check out the contractors. I have no way of determining if working for them will be right for you. I am providing this as a free service to both the contractor and the home worker. If you are looking for a quick and easy job at home, with no thought as to the person that hires you in good faith, than do not reply to any of these ads. You must be reliable as they often have deadlines to work with. They need quality work always. Please do not contact me about any of these jobs. I personally am not hiring, I am providing a place for them to post a need for workers only. You must contact the email listed about the positions listed. We must provide good dependable work. One unreliable worker makes it bad for every one in this industry. If you wish to post a job offer please contact me with the job description and your email address. No more than 100 words. I do retain the right to refuse any ad I think inappropriate. 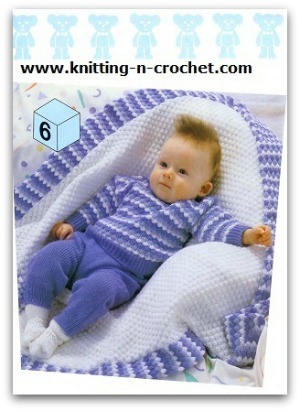 Wanted - experienced machine knitters with mid-gauge machines to knit newborn baby items for Christmas. Piece work only as I will be doing the making up. Proximity to Chicago would be ideal, but not required.